Gnats. Fruit flies. It doesn’t matter what you call them, these tiny flying bugs are a giant nuisance. And when you’re dealing with an infestation, the last thing you want to do is try to inspect one of these bugs up close. But if you’d rather not share your home with a pack of bugs, you just might have to get up-close-and-personal with one to see what you’re dealing with. While many of the same extermination methods will work for both types of insects, some are better than others for each type. Let’s take a look at the difference between these bugs before we talk about ways to exterminate them. Fruit Flies Vs Gnats: What’s the Difference? What About the Gnats Outside My Home? Despite what you might have heard, fruit flies and gnats aren’t the same thing. But it’s easy to see why people confuse the two. Both of these flying insects are so tiny, it’s difficult to really tell the difference between them without a magnifying glass (go ahead, try it out for yourself). Fruit flies are a bit larger than gnats, although both insects are small. The most common fruit fly species measures about one-eighth of an inch, and has a brownish-colored head with a black tail and red eyes. Fungus gnats, on the other hand, are completely black in color and are just one-sixth of an inch in size. While they’re really tiny, gnats have long, gangly legs that are very noticeable when they’re flying. Each of these insects belong to different families in the Diptera order. Fruit flies and gnats also have different life cycles. Gnat eggs are laid in the soil of houseplants, and hatch in just four days. Gnats remain in the pupal stage for one week before developing into an adult. Adult gnats live for just one week on average, during which females can lay up to 150 eggs. Fruit fly larvae are dependent on rotten food to survive. Females can lay 500 eggs before death. Why do you have a gnat infestation in the first place? And why do they seem to be attracted to your face? Yes, gnats love to fly in your face. Scent has a lot to do with it. Perfume, body lotion and even the laundry detergent you use to wash your clothes can attract gnats. These tiny bugs are attracted to sweet and/or floral scents, depending on the type of gnat. 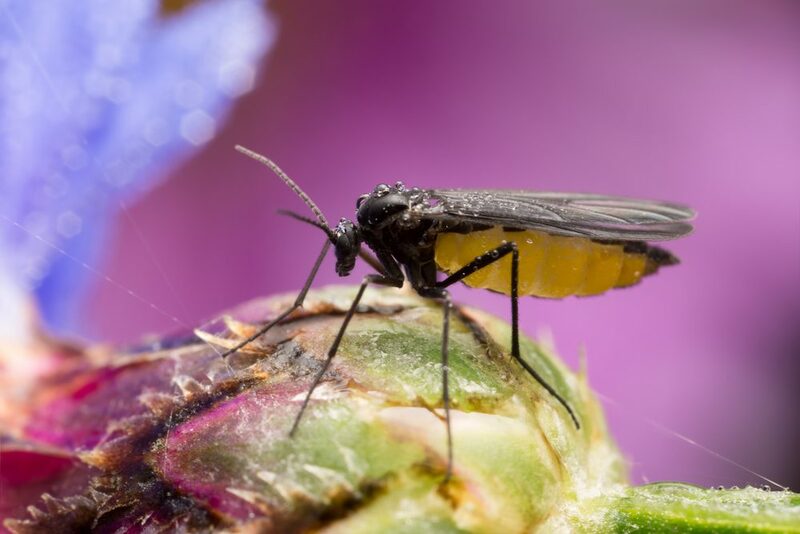 Fungus gnats are in your home because of, well, fungus. More often than not, the problem is a house plant (or two) with overly-moist soil. Other species of gnats bugs are attracted to body heat, and some are attracted to moisture – which can include the mucous around your eyes and nose (gross). If you have fruit or vegetables lying around uncovered in your home, you may be attracting gnats this way. Houseplants and fresh flowers are other attractants. These flies are also attracted to rotting garbage. If you have gnats hanging around outside your home, there is something in your yard that’s attracting them. This may be a fruit tree or your vegetable garden. Flowers may also attract them. If you’re over-watering your flowers or lawn, fungus and mold (as well as the moisture) may be attracting them. Some gnats are also attracted to light, so your outdoor lights may be luring them in. What attracts fruit flies? You guessed it – fruit. Have you ever taken home a ripe cantaloupe or bunch of bananas and found a horde of flying bugs in your home days later? Those are probably fruit flies. And while it may seem like these guys just appeared overnight out of thin air, they didn’t. 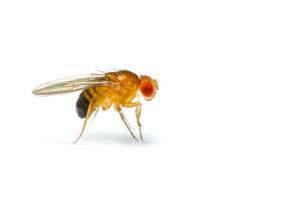 Remember, fruit flies are exceptionally small, and their sense of smell is impeccable. They can smell the fruit on your counter from a good distance away, and once they catch onto the scent, they’ll do all that they can to get in your home. The task shouldn’t be too difficult if you have an open window or step outside for a moment. Fruit flies can get in through the screens on your windows and crevices in your home. And the moment you open your front door, you’re inviting them right inside. A horde of fruit flies can also hitch a ride home with you, hiding out on your vegetables and fruits. How? These flies actually lay eggs on the skin of fruit that is very ripe or already fermenting. Long story short: fruit flies are in your home – or outside your home for that matter – because you have overripe or fermenting produce somewhere. You now know the difference between gnats and fruit flies. You even know what attracts them. So how do you get rid of them? If you want to learn how to get rid of gnats in the house (in the kitchen, in the bathroom, in the living room – wherever), read on. We’re going to share our tried-and-true method for getting rid of these flying bugs: a homemade trap. The best gnat trap is simple, cheap and easy to make yourself. And it will get rid of the gnats in your home in a snap. These are all things you probably have laying around your home. If you don’t have a mason jar, any old jar will work just fine as long as it has a lid. Fill the jar about half-way with apple cider vinegar. If you don’t have apple cider vinegar, you can use regular white vinegar. Just add a few drops of soap to make the trap more enticing. Poke tiny holes in the lid with a nail or screw. The gnats will be able to get into the jar, but they won’t be able to get out. Gnats are extremely attracted to vinegar. They love honey, too, so feel free to add a drop or two of honey if you want an even more effective trap. If you’re wondering how to get rid of house flies, this trick won’t work. People often confuse house flies for gnats, but these are two different things. 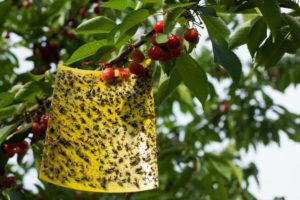 You’ll need a hanging sticky trap (also known as flypaper) to get rid of flies in your home. If you have a horde of fungus gnats in your home, you’ll want to focus on treating your plants. First and foremost, you have to stop watering your plants. Overwatering is likely what’s causing these pesky bugs to show up in the first place. Overly wet soil is a breeding ground for fungus and mold, which is what attracts these fliers. Water holding and soil with peat moss are also attractants of fungus gnats. You can use the homemade trap recipe above to kill the gnats in your plants. But instead of placing a lid on the jar, leave it open, and place the jar (or bowl) near your houseplants. The gnats will be attracted to the vinegar, and die in the jar or bowl. Another great way to get rid of these pests is to use an insecticidal soap spray, and spray the soil daily or every other day. You can purchase commercial-grade versions of these soaps in most garden or home improvement stores. But you can also make your own homemade version. While this version does not contain any of the insecticides you’re used to, it will kill the gnats in your plants. Dish soap will not have the same effect as castile soap, so do make sure that you use castile soap. The fatty acids in this soap dissolve bugs, which is why it’s so effective. Dr. Bronner’s is a great brand of castile soap. It’s gentle and natural. This mixture is more than just a gnat spray. 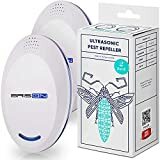 You can use it to kill other pests as well – indoors and outdoors – including aphids, spider mites, mealybugs and more. Pouring a small amount of ammonia down the drain will kill any gnats that are living in there. 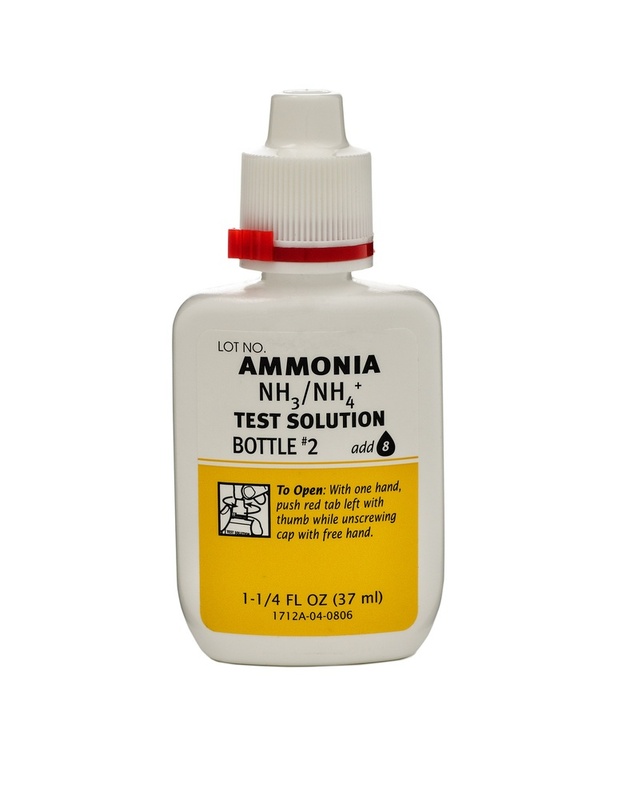 Note: If you use ammonia in your drains, allow it to dilute for several hours before using the sink again. First, pour the baking soda into the drain. Next, pour a cup of white vinegar down the drain. The baking soda and vinegar will cause a reaction – you should hear a lot of fizzing and you should see bubbles. Allow this mixture to sit for a few hours, and then pour a pot of boiling water down the drain. Both ammonia and the baking soda mixture will clean out your pipes. So, you’ll kill gnats and have squeaky clean drains. What if the problem isn’t inside your home, but outside? It’s hard to enjoy time out in the yard if you’re swarmed with gnats the moment you walk outside. We’ll show you how to catch gnats, and what to do to repel them. One of the best ways to keep gnats out of your outdoor space is to keep it clean and tidy. Ensuring that your garden is free of fungus and mold is the first step. Check areas that are shady and have poor circulation first. Look for rotting plant debris, and remove it immediately. Flying gnats are attracted to rotting organic matter. Make sure your compost pile is far from your home if you have one. Trash cans should be covered at all times, and make sure that you clean up any plant debris you find. Improve soil drainage to keep your plants from holding water. Check for standing water in drainage areas and gutters. If you have an infestation of gnats, the above steps will help keep the population under control. 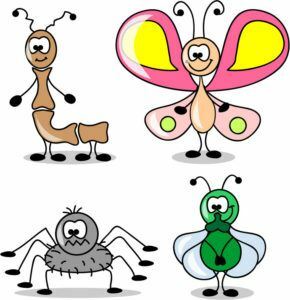 But you can also take steps to get rid of these insects in the meantime. The indoor trap we made with vinegar can also work outdoors. Just make sure that you place the jar where the gnats are spending most of their time. You may need to make several traps to catch them all. You may also try sticky traps. Gnats are attracted to the color yellow, and you can find yellow sticky traps in home improvement stores or online. There are also electronic devices that are used to repel gnats. While these aren’t technically traps, they will send these bugs running for the hills, which is just as good (and possibly more humane). You make an effective homemade bug spray with citronella and cedarwood essential oils, vanilla extract, and water. You’ve figured out that you have fruit flies – not gnats. How do you get rid of them? Many of the same home remedies for gnats will also work for fruit flies. You need to remove any fruit or vegetables sitting on your counters. The reason you have fruit flies in the first place is because you have overripe fruit or vegetables out in the open, uncovered. The simple act of removing any produce you have out in the open will help lower the fruit fly population immensely. Just to be clear – when we say remove, we don’t necessarily mean to throw out the food. If the food is still good, try putting it in the fridge until you’re ready to eat it. One of the most effective traps for fruit flies just happens to be the vinegar trap we talked about earlier. But we’re going to also share a few other effective traps that you can use if you don’t have any vinegar in your home. I know – I just told you to get rid of any fruits or vegetables sitting on your counter. But if you notice that any of that produce is starting to rot, you can use it to trap these pesky fruit gnats. Place the rotting produce inside of the jar. Cover the jar with plastic wrap. Use a toothpick to poke tiny holes in the plastic wrap. Like with the mason jar trap, fruit flies will be able to enter the jar to get to the fruit, but won’t be able to get out. Fruit flies love red wine (who doesn’t?). You can use this to your advantage by trapping them in jar filled with wine. They’ll either drown in the wine (not a bad way to go), or if you add soap, you’ll give them a quick death. This trap is easy to make. Just leave a little red wine in the bottom of the bottle, and the flies will naturally be attracted to it. They’ll dive in for a drink, and die shortly after. One of the oldest recipes comes from the Farmer’s Almanac in 1850, and it also happens to be one of the most effective. This trap is incredibly easy to make. Just combine all of the ingredients together in a saucepan and allow to simmer for 10 minutes. Pour the mixture into dishes, and place them around the house. Fruit flies will be attracted to the mixture, and they’ll drown almost immediately after landing. Want to get rid of fruit flies, but don’t want to set out traps? If you’re having company over, you probably don’t want to leave around bowls of milk or vinegar. This spray will repel fruit flies, so you can enjoy a bug-free kitchen. Fruit flies don’t like the smell of lemongrass oil, so the spray will send them running the other way. If you don’t have lemongrass oil, you can substitute citronella. If you do make this spray, do be mindful of where you spray it. Pets and children are often sensitive to essential oils, so try not to spray too much around them. Fruit flies and gnats are common pests in the home, especially in the summer. Try as you might to avoid them, you’ll probably deal with these flying bugs at least a few times per year. The traps and repellent above will help you tackle the problem without having to call an expensive exterminator.